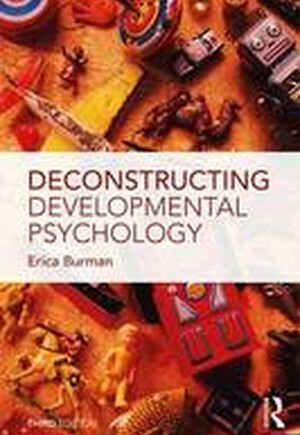 In this completely revised and updated edition, Deconstructing Developmental Psychology interrogates the assumptions and practices surrounding the psychology of child development, providing a critical evaluation of the role and contribution of developmental psychology within social practice. Since the second edition was published, there have been many major changes. This book addresses how shifts in advanced capitalism have produced new understandings of children, and a new (and more punitive) range of institutional responses to children. It engages with the paradoxes of childhood in an era when young adults are increasingly economically dependent on their families, and in a political context of heightened insecurity. The new edition includes an updated review of developments in psychological theory (in attachment, evolutionary psychology, theory of mind, cultural-historical approaches), as well as updating and reflecting upon the changed focus on fathers and fathering. It offers new perspectives on the connections between Piaget and Vygotsky and now connects much more closely with discussions from the sociology of childhood and critical educational research. Coverage has been expanded to include more material on child rights debates, and a new chapter addresses practice dilemmas around child protection, which engages even more with the "raced" and gendered effects of current policies involving children. This engaging and accessible text provides key resources to inform better professional practice in social work, education and health contexts. It offers critical insights into the politics and procedures that have shaped developmental psychological knowledge. It will be essential reading for anyone working with children, or concerned with policies around children and families. It was also be of interest to students at undergraduate and postgraduate levels across a range of professional and practitioner groups, as well as parents and policy makers.